We provide high quality shipboard alteration installation, planning and coordination. 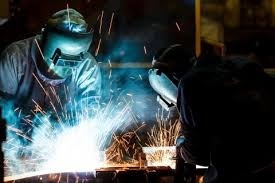 With decades of experience, JAANN, Inc. technicians are qualified in welding, structural fabrication, pipe fitting, cable installation standards and Mil-Spec connector fabrication. JAANN machinists are qualified in foundation machining, drilling, , bonding, shimming and equipment installation. Our Pipe Fitters and Welders are Certified to NAVSEA, ABS, ASME & AWS Standards and are experienced performing all aspects of pipe fabrication and installation. Processes include Stick, MIG and TIG on all materials including aluminum, copper, copper nickel and stainless steel.